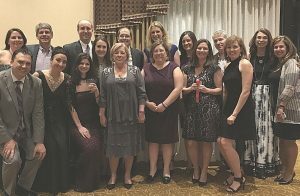 On April 20th, Higgins Cavanagh & Cooney, LLP employees (past and present) came out to celebrate the life of Gianna Cirella and to raise funds for the Gianna Cirella Memorial Fund. On October 13, 2017, 16-year old Gianna developed a sore throat that turned into pneumonia and, ultimately, a life-threatening blood infection known as sepsis. Despite the heroic efforts of doctors at Hasbro Children’s Hospital to save her life, Gianna lost her battle to sepsis on November 1st. The Gianna Cirella Memorial Fund was established to raise funds for pediatric sepsis research and provide financial assistance to children and families affected by sepsis. In honor of Gianna’s love of soccer, the fund will also provide scholarships to local soccer players. 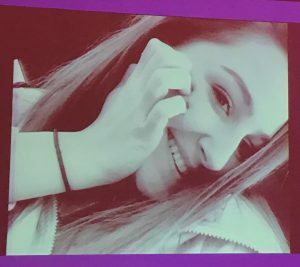 Hundreds of people attended the gala at Crowne Plaza in Warwick to honor Gianna’s memory. Eyewitness News Reporter Kim Kalunian and Rhode Show host Will Gilbert hosted the event which included a night of dinner and dancing. Tara Cirella, Gianna’s mother, is a longstanding and highly regarded HCC staff member. She is the firm’s billing and accounts receivable coordinator. Information about the Gianna Cirella Memorial Fund can be found at www.gistrong.org.